The Southwest Rapid Rewards® Priority Credit Card provides a generous introductory bonus, rewards program and attractive airline perks meant to truly reward Southwest Airlines frequent flyers. In fact, taking off regularly through Southwest’s “friendly skies” is the best way to maximize all this card has to offer. Earn 40,000 points after you spend $1,000 on purchases in the first three months. On an ongoing basis, you get two points for every $1 spent on Southwest Airlines purchases, as well as on purchases with Rapid Rewards® hotel and car rental partners such as Best Western, Marriott, Avis and Hertz. You get one point for every $1 on all other purchases. You can redeem your points for Southwest Airlines flights, hotel stays, gift cards, merchandise or international flights with more than 50 global carriers. Earn 40,000 points after you spend $1,000 on purchases in the first three months. Additionally, you'll receive 7,500 bonus points each year after your account anniversary. Save money with a $75 annual Southwest® travel credit. Enjoy four upgrade boardings each year, when available. The annual fee is higher than similar tier airline rewards cards. You need to be sure you'll put all the perks, features and benefits to good use in order to offset the fee. The Southwest Rapid Rewards® Priority Credit Card’s introductory bonus gives you a head start to more perks – most importantly, the Southwest Companion Pass. The Companion Pass lets you choose one person who can fly with you and not pay airline charges as long as you use your card to purchase or redeem points for a flight. (Note: The companion still needs to pay taxes and fees). Once you earn the pass, you’ll have it for the remainder of the year in which you earned it as well as for the next full calendar year. That means that if you qualify for the pass early in a year, you could have it for almost two full years. So how do you qualify and how does the Southwest Rapid Rewards® Priority Credit Card help you get there? We’re glad you asked. To qualify for a Companion Pass, you need to fly 100 qualifying one-way flights or rack up 110,000 qualifying points in a calendar year. This is where the credit card comes in: The points you earn through the welcome bonus as well as any you rack up just from your everyday use of the Southwest Rapid Rewards® Priority Credit Card will count toward that 110,000-point requirement. The Southwest Rapid Rewards® Priority Credit Card also offers other Southwest perks. You get 20 percent back on in-flight drinks, WiFi, messaging and movies. Plus, you're eligible for four upgraded boardings annually, as available. These are Southwest-specific benefits you won't find with a more general travel rewards card. You also get more for displaying loyalty. The Southwest Rapid Rewards® Priority Credit Card rewards you with 7,500 points after your card anniversary each year, and cardholders additionally get a $75 Southwest annual travel credit each year. You’ll save even more money given that there are no foreign transaction fees charged, so you can spend internationally without worrying about added charges. The annual fee is a bit steep at $149, so you can certainly find cards with cheaper annual fees if your travel plans don’t regularly include flights with Southwest Airlines. Additionally, the points earning is pretty limited with the Southwest Rapid Rewards® Priority Credit Card, so, once again, if you aren’t going to racking up two points per $1 spent with Southwest or its hotel and car rental partners, you’ll be better off with a more general rewards card. In fact, some travel rewards cards offer bonus rewards no matter the category (take, for instance, the Barclaycard Arrival Plus® World Elite Mastercard® that rewards you with two miles per $1 spent no matter where you spend). And, lastly, the Southwest Rapid Rewards® Priority Credit Card doesn’t offer some of the benefits found on some other airline cards, such as access to airport lounges or discounted reward travel options. The two Southwest cards have multiple similarities, but the Southwest Rapid Rewards® Priority Credit Card offers more benefits and charges a higher annual fee. They both offer cardholders the opportunity to achieve A-List status and to rack up points toward a Companion Pass. It will take you about the same time with the Southwest Rapid Rewards® Premier Credit Card since their introductory bonuses are the same. The Southwest Rapid Rewards® Premier Credit Card offers new cardholders the opportunity to earn 40,000 bonus points after spending $1,000 in the first three months. The Southwest Rapid Rewards® Premier Credit Card provides 6,000 points every card anniversary, which is less than the Southwest Rapid Rewards® Priority Credit Card, but it has a much more affordable annual fee ($99). You'll want to weigh whether a lower yearly fee with limited perks is better for you than a higher fee with more benefits. The Southwest Rapid Rewards® Premier Credit Card also doesn't have some of the special perks found in the Southwest Rapid Rewards® Priority Credit Card, such as the four upgrades per year, the in-flight discounts or the annual travel credit. The Barclaycard Arrival Plus® World Elite Mastercard® offers 70,000 bonus miles after cardholders spend $5,000 on purchases in the first 90 days. That equals $700 worth of travel statement credits. 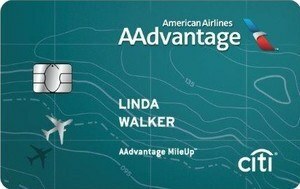 Plus, when you redeem, the card gives you 5 percent of your miles back that you can use toward your next redemption. Cardholders can redeem miles for cash-back statement credits, gift cards and merchandise though redeeming miles for travel statement credits offers you the best value. An added perk with the Barclaycard Arrival Plus® World Elite Mastercard® is that you can transfer a balance to the card within 45 days of opening the account and not pay any interest for the first 12 billing cycles after making the transfer (then, 18.24%, 22.24% or 25.24% Variable based on your creditworthiness). There is a 3 percent balance transfer fee. The introductory 0 percent balance transfer APR makes the card more than just a travel rewards card. Finally, the Barclaycard Arrival Plus® World Elite Mastercard® has a more affordable annual fee -- $89 (waived first year) -- compared to the Southwest Rapid Rewards® Priority Credit Card. However, you don't enjoy the Southwest-related perks with the Barclaycard Arrival Plus® World Elite Mastercard®, such as A-List status, the Companion Pass, anniversary points and upgrades. Discover it® Miles gives you 1.5 miles for every $1 spent on the card. There are no category limitations and your miles can be redeemed for statement credit to cover travel expenses with any airline at any time. The bonus with this card is a bit untraditional, but could be quite lucrative. Discover MATCHES all the miles new cardholders earn in the first year. That means earning 20,000 miles the first year will actually be worth 40,000 miles at the end of the year. You can redeem your miles for travel purchase credits on your statement. There are no blackout days or airline limitations to worry about, but you also don't benefit from Southwest perks with this card. Discover it® Miles doesn't provide an introductory bonus, which means you can't collect a bunch of miles quickly. That said, you also don't have to pay an annual fee and, if you’re willing to wait for a little delayed gratification, that match at the end of your first year as a cardholder could be huge. There is also the issue with Discover that not all businesses take the card, especially if you travel internationally. The Southwest Rapid Rewards® Priority Credit Card provides an solid bonus program, an annual points boost and an annual Southwest travel credit. But even beyond that, if you take full advantage of this card as a regular Southwest Airlines guest, you’ll maximize points and get the most out of those benefits – especially when it comes to helping yourself toward a Southwest Companion Pass. 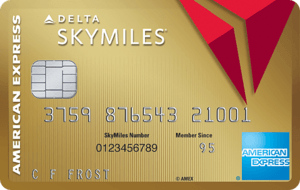 Earn 2 miles per dollar spent on purchases made directly with Delta. Earn one mile for every eligible dollar spent on purchases.